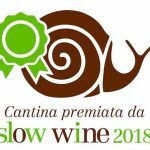 We believe that the book “Il Grande Viaggio nel Vino Italiano” by Slow Food Editore (The Great Journey through the Italian Wine) will represent a cornerstone in the big house of the wine narration. The annual visit to the farms has already been a revolution by the Slow Wine staff, but they wanted to paint more and more details on the Italian wine farms scenery. The life and the work of twenty-six winemakers, collected in short stories about their dreams and their passion, framed by amazing pictures of art photography. We are extremely honored of being part of that number! The book “Il Grande Viaggio nel Vino Italiano"